One of China's biggest tech firms is pumping money into an old school profession: used car salesman. Didi Chuxing, China's homegrown answer to Uber, just invested $200 million in an online platform for trading used cars, an industry that's shifting into high gear in China. The platform, RenRenChe, directly connects individual car sellers with buyers. Its name literally translates to "People People Cars." China's used car market is poised for explosive growth. The China Automobile Dealers Association expects used car sales to reach 12 million vehicles this year, an increase of roughly 20% from 2016. The easing of government restrictions on used cars should also help fuel industry growth. For Didi, which defeated Uber's attempt to build a successful China business, used cars offer a potentially lucrative addition to its growing empire. "They want to own as much business as possible related to transportation," said Andy Tian, an entrepreneur and co-founder of Beijing-based Asia Innovations Group. And "selling cars is a lot more profitable than selling rides," he added. RenRenChe's services will soon be available on Didi's app, exposing the used car platform to the ride-hailing company's more than 17 million drivers. "I can see Didi drivers selling their cars on RenRen," said Kitty Fok, a Beijing-based analyst with research firm IDC. Investing in the platform also gives Didi yet another way to influence the transportation industry, Fok said. The company already invested tens of millions of dollars into Chinese bike-sharing startup Ofo earlier this year, and has partnerships with other ride-hailing firms around the world. Didi, which was valued at around $50 billion earlier this year, brings more heavyweight financial backing to RenRenChe. Chinese internet giant Tencent (TCEHY) is also an investor in the used car platform, injecting $85 million in 2015. Didi declined to comment on RenRenChe's current valuation or what size stake it received in exchange for its $200 million investment. RenRenChe wasn't immediately available for comment. 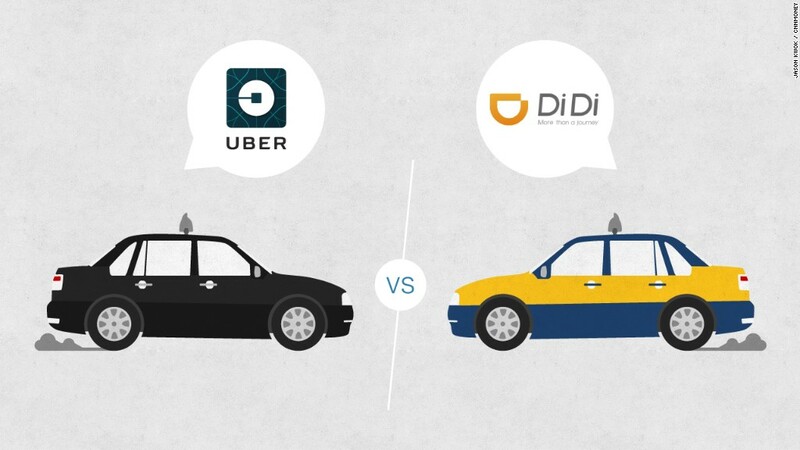 Didi was formed in 2015 through the merger of ride-hailing apps Didi Dache and Kuaidi Dache. The company is led by Cheng Wei, a former Alibaba manager who founded Didi Dache in 2012.